Most business owners find that having credit cards for small business makes running their companies much easier. When you own your own business, you will need to make purchases of supplies, gas and other items that your company needs to keep running. Having credit cards for small business can allow your employees to make the needed purchases for you so that you do not have to carve out additional time. Unfortunately, credit cards may be abused by some workers, subjecting your business to the risk of internal thefts. Choosing an alternative to credit cards for small business may help you to prevent thefts and get a better handle on your business expenses. Why do businesses need credit cards for small business? Businesses need credit cards for small business for several reasons. When they have cards, their employees do not have to spend time asking for checks to be written or authorized, making purchases much faster. Cards can also be used at many locations that do not accept checks. Using credit cards also helps to do away with petty cash systems. Petty cash is often subject to employee mishandling and thefts. Despite these benefits, small business credit cards are also subject to employee fraud and may present other problems as well. What is a good alternative to small business credit cards? Business credit cards require that people apply, using either their own credit or that of their business. If there are blemishes in their credit histories, they may be turned down. A good alternative is a debit card for small businesses from Bento for Business. Debit cards do not depend on your credit. They can be used to make purchases everywhere Visa® debit cards are accepted, making the cards very convenient. Business owners can order up to 10 cards for just $29 per month and are not charged interest and high annual fees. The cards allow businesses to strictly control their employees’ spending, allowing you to stop employee thefts and fraud that may be occurring. You are able to establish spending controls on each card according to the types of purchases that individual employees need to make for their jobs. For instance, one employee might be allowed to purchase toner, paper, and other office supplies while another might be able to buy gasoline at the pump. Each employee can be prevented from buying anything other than the categories that are specified on their cards. They will not be able to make cash withdrawals from their cards or to purchase other items. If they attempt to do so, their transactions will be immediately declined, and you will see the attempts on their histories. This ability to control spending can help to save your business money while also helping you to end employee thefts. When you open an account, you fund it and order the number of cards that you need. You can then designate the amount of funds that you want to place on each card as well as the types of spending that will be allowed. 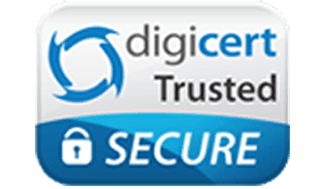 Bento for Business uses the same type of high-level SSL-encryption technology that banks use so that you are protected from hackers. Funds held within Bento are FDIC insured to at least $250,000 through The Bancorp Bank; Member FDIC—allowing you peace of mind. You will be able to view your balances and your employees’ spending on your interactive platform whenever you want, and you can turn cards off or on with a click of a button at any time. 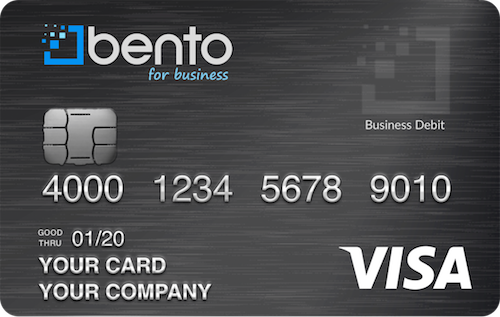 Business debit cards from Bento for Business can offer your business multiple benefits. Sign up for a 60-day free trial today or call us at 866.220.8455 to learn more.